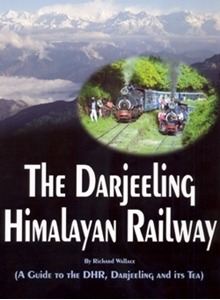 An illustrated book, predominantly in black and white, on the UNESCO status Darjeeling Himalayan Railway (DHR), Darjeeling itself and the world famous tea, covering the historical and contemporary life of the railway route. Chapters look at the DHR from the 19th to the 21st century and the more technical aspects such as track, rolling stock and services, as well as providing a short history of and guide to Darjeeling and its tea for armchair enthusiasts and actual visitors. A chapter specifically looks at Calcutta as the gateway to Darjeeling and an overview tour up the line is described (with map), with DHR data and a chronology given.